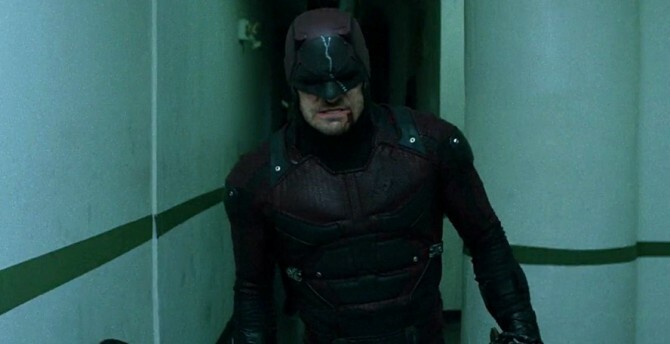 Charlie Cox will be donning his blood-red guise as the Devil of Hell’s Kitchen later this year when Marvel’s The Defenders series enters production. That’s according to the man himself, who recently touched base on the future of his blind vigilante beyond Daredevil season 2. While Cox conceded that there are currently no plans for that much-touted movie crossover, the British actor did outline a rough production timeline for Netflix and Marvel’s ensemble drama. Word comes by way of The Independent, who quizzed Cox about the status of the MCU on the small screen. Riding high after Daredevil season 2, it seems that there is currently nothing to report about a potential season 3 – hardly surprising, given that both Luke Cage, Iron Fist and a second season of Jessica Jones will premiere beforehand. Next up on Marvel and Netflix’s bustling slate is the series premiere of Luke Cage, with Mike Colter’s muscle for hire primed to descend onto Hell’s Kitchen on September 30. Iron Fist, meanwhile, is set to begin filming later this month.